If something (or someone) is going full blast, it is working with great intensity or at maximum capacity. 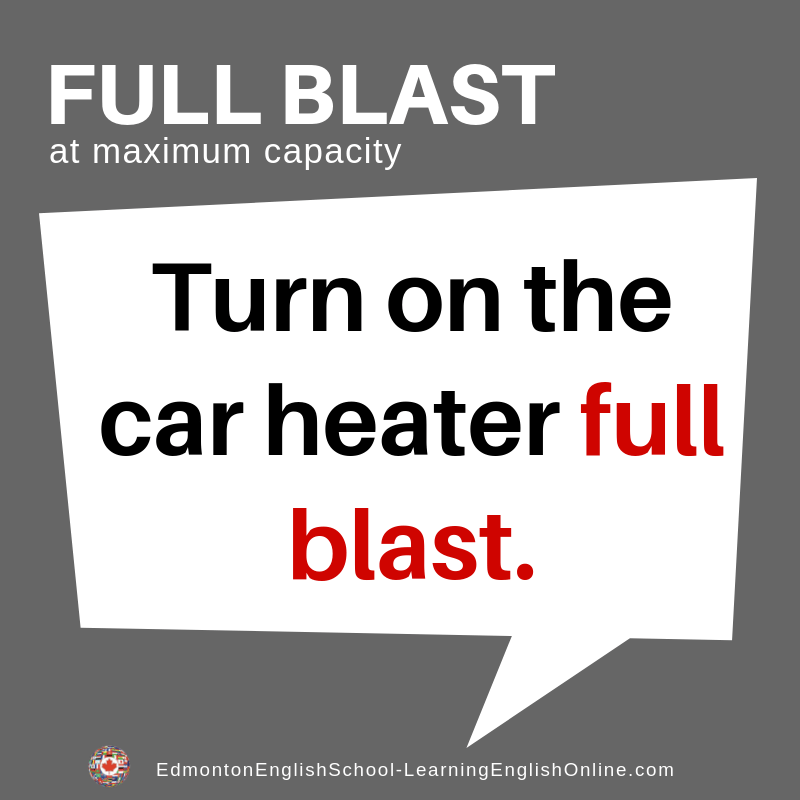 This expression is commonly used for heaters, or air conditioners. 1. It was freezing in the car. My mom had the air conditioning going full blast. 2. The volunteers had all the ovens in the community hall going full blast as they prepared the community supper.